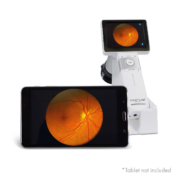 New Ezer EZ-Horus Auto Focus Camera allows a comprehensive Fundus Screening with impressive crisp clear 5 Megapixel resolution images. 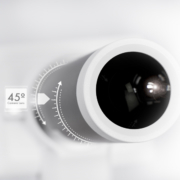 Alongside the Non Mydriatic EZ-Horus Lens 45° it makes fundus photography faster, easier, and conveniente. Fundus Screening has never been easier or more convenient than with the new Ezer EZ-Horus Auto Focus Camera. The unit’s unique, lightweight design delivers impressive crisp, clear images with 5M pixel resolution. 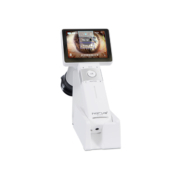 Both still images and videos are captured with the touch of a button and displayed on a lightweight, 3.5” full color LCD display with touchscreen capabilities. Users will appreciate the 45-degree field of view that’s possible with the EZ-Horus Auto Camera as well as the MPOD analysis capabilities. This camera also allows you to easily transfer the images to a laptop, PC, or to the Internet for telemedicine and comanagement purposes. It’s even Wi-Fi compatible. Excellent quality and outstanding value set this digital fundus scope apart, making it a smart choice in virtually any setting. 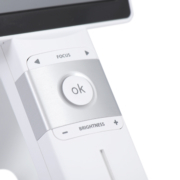 The 45-degree field of view will allow perfect interpretation and report meeting all your needs. Users will be impressed with how fast and simple it is to take images using the Ezer handheld scope featuring Auto Shooting. 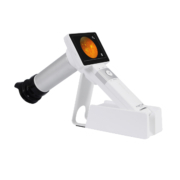 Simply align the IR cornea’s reflection to the square outline and the EZ-Horus Auto Focus Camera will automatically capture a clear 45 degrees image. Users will be impressed with how much can be viewed with the Ezer handheld scope. A crystal clear 45-degree field of view is possible with the EZ-Horus Auto Focus Camera when combining with either EZ-Horus Lens 45° (sold separately). 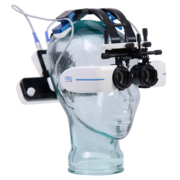 The EZ-Horus Auto Focus Camera has 7 fixation points which allows professionals to have a more suitable guidance for patients in order to achieve 80 degrees field view. 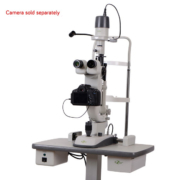 The simple to use focusing system provides crystal clear quality images, which facilitate examining the eye thru the automatic or manual focus. The automatic focus makes it fast and precise for the doctor when taking a crystal clear image in various scenarios. Provides both auto-focus and power-focus function to facilitate image capturing. The easy to use high technology touchscreen makes the EZ-Horus Auto Focus Camera truly user friendly. The unit’s industry-leading 5M pixel resolution delivers impressive crisp, clear images in both video and still mode. Fundus screening has never been easier or more convenient than with Ezer’s unique, lightweight design. Excellent quality and outstanding value set this digital fundus scope apart, making it a smart choice in virtually any setting. 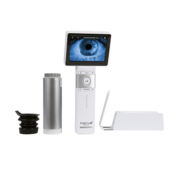 With the EZ-Horus Auto Focus Camera, it’s simple to track and record patient visits. Able to automatically transfer images to any Wifi compatible computer, tables and smartphones (with the addition of the EYE Fi Cards). 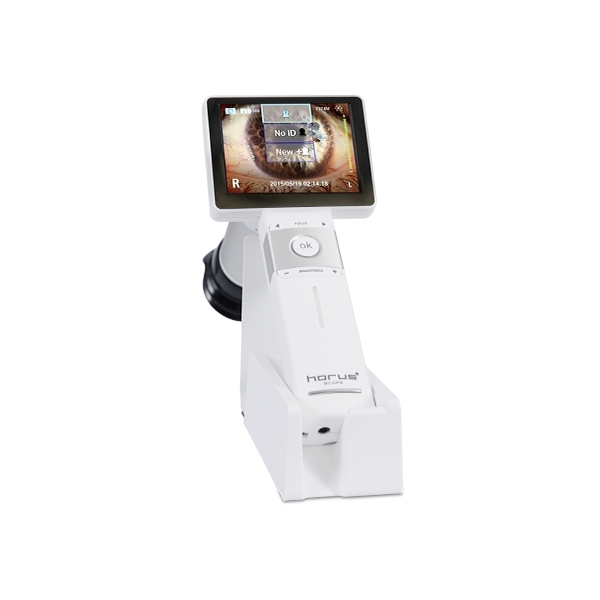 The EZ-Horus Auto Focus Camera supports real-time dual screens for the ultimate in patient management and flexibility. Get a closer look at the complete exam with the EZ-Horus Auto Focus Camera display mode. Zoom in and out of various sectors as needed. 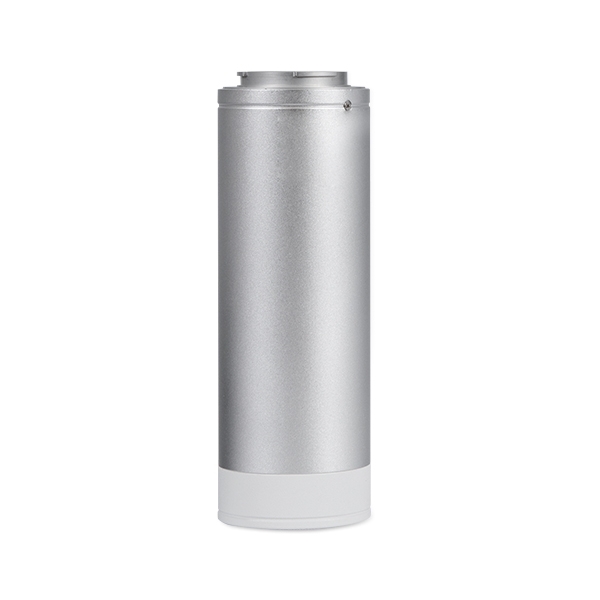 The EZ-Horus Auto Focus Camera offers live video streaming capabilities, which is extremely helpful in comanagement and teaching environments. 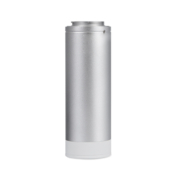 The EZ-Horus Auto Focus Camera features top-of-the-line white LED and IR Illumination. 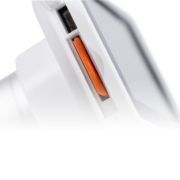 With the EZ-Horus Auto Focus Camera you do not have to worry about unexpected power shutoff. A color-coded indicator illustrates power usage and life. By connecting to mini USB you are able to keep the device working while the battery is being charged.